Star Wars, DC, Marvel, Kevin Smith - with all today's geeky entertainment, who can focus? 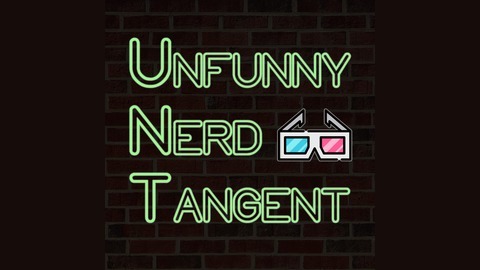 Go off on a tangent with Jared, Tim, Greig and our 'unfunny' friends as we smash open new movies and TV shows as well as the classics that made us nerds in the first place. Spoilers abound, so listen AFTER you watch. Part of The Steel Cage Network. 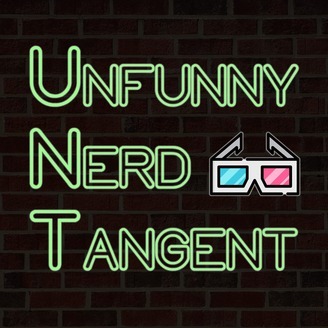 If you’re as Unfunny as Ulysses, as Nerdy as Neptune and as Tangential as Tartarus, then episode 74 is perfect for you! Join us as we remain pure of heart and evoke the powers of Shazam! (The movie, at least.) On this episode, we delve into the Captain Marvel / Shazam naming controversy as well as ponder the similarities of a certain Eternian hero, before diving staff-first into the latest DC superhero film that isn't afraid to be fun. Billy, Freddy, Mary, Darla, Pedro and Eugene all combined their powers to make this show as legendary as the (missing) Black Adam, so make sure you take a break from jacking cop cars to check it out. Also, there may or may not be caterpillars. Lightning never strikes twice, so just say the word and bring your whole (foster) family to the table with UNT 74: Shazam! Hosted by: ‘Captain Boomerang’ Greig Tansley (@GreigT13). Featuring: ‘Black Adam’ Tim Agne (@timagne) & ‘SuperJew’ Jared Robinovitz (@SuperJew75). Music by: Survivor & Queen.